While the Marching Ravens may never make an appearance in your man cave or basement, you can at least improve your game day experience with the Baltimore Ravens Pool Table from Imperial Billiards. Can you picture tuning in every Sunday, and the occasional Monday night, to watch those stout, intimidating defenses pound the opposition while you and your fellow fans enjoy a few games of billiards. 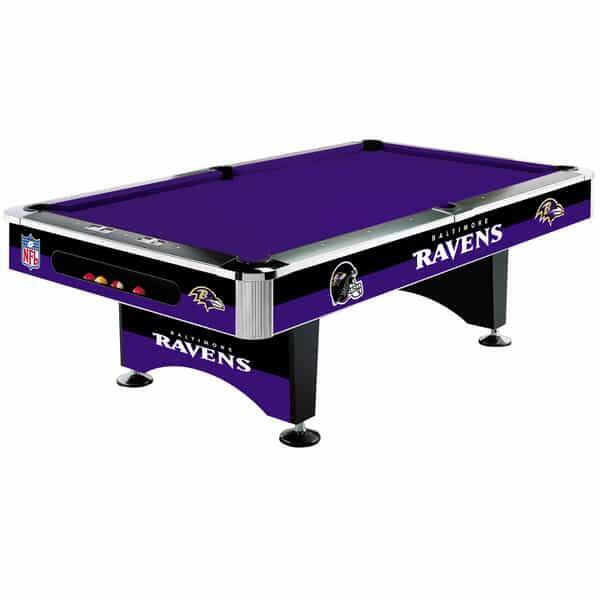 Imperial Billiards has designed these pool tables to offer the very best playing surfaces and materials, complete with the Ravens logo and team colors. And regardless if you're out in Owings Mills, or further away in California, these pool tables come with free nationwide shipping, saving you more than just a few pennies.